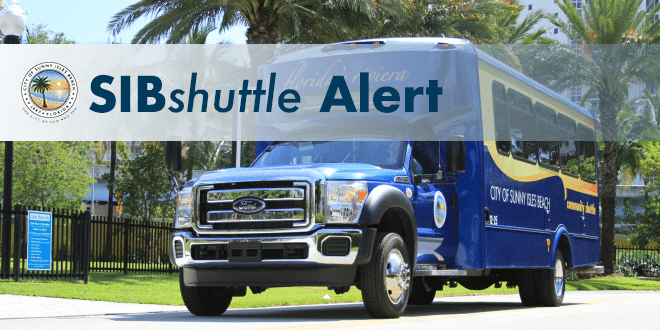 Home » SIB Shuttle Alerts » SIBshuttle service changes effective Sunday, November 4, 2018. The stop at the Hallandale Fire Station will no longer be available on Saturdays. With the opening of the new Publix in Sunny lsles Beach, our shuttle buses will no longer be stopping at the Aventura Mall Publix. These changes will greatly improve the weekend bus service.